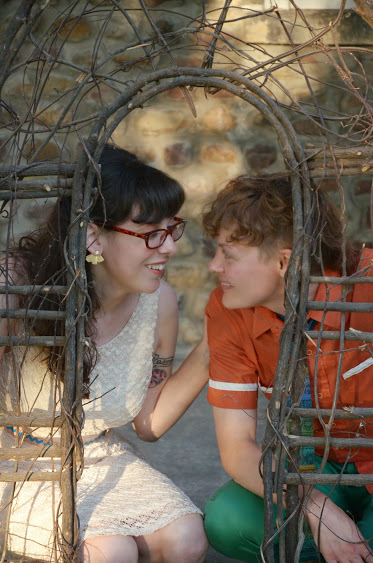 My partner and I made it through this party I’d been half-dreading, a party to celebrate our prior unification ritual. It was a lot of things, but largely, it felt validating and joyous, in a chaotic sort of way. It was fun; we would not do it again! It was a different kind of experience for me; I was on a natural high for so long, it was starting to get tedious. I mean, I’ve had a lot of extreme highs and lows in moods, over much longer periods of time, but this was somehow different. Somehow much less scary. I felt confident that even though I felt this way, I could depend on myself to do whatever it was I needed to do. It was a high that was not really all that fun, in its duration. Maybe I am growing up. High extended roughly, from Thursday (kicking the planning for Saturday into high-gear,) till Tuesday (by then, we were in Northampton, MA for the start of our vacation, and the long drive to get there felt like it happened in a snap.) I wasn’t hungry; I wasn’t sleeping well. I was able to just keep going and going and going regardless. I didn’t particularly feel euphoric or excited (I mean, I did at times, but not sustained.) I basically started feeling like all I wanted was to get a full night’s sleep, an entire meal in my stomach, and to come down from wherever up-in-the-clouds I was. On our vacation, we stopped through Northampton and Spencer, MA before heading up to a tiny town (talking about a town with a church and a convenience store. No gas station.) in central Maine. We stayed with two friends who have an awesome cabin they’ve basically created themselves, over the past 10 years. It sits on 50 acres of land, and they live there part time. We went blueberry picking (organic! $1.50/lb!!! ), swimming in a very cold lake (when the air temp + rain hitting lake was even colder), trouncing through the woods a bit. We kicked back, did some reading, connected with our friends, and heard stories about / met some of their neighbors. 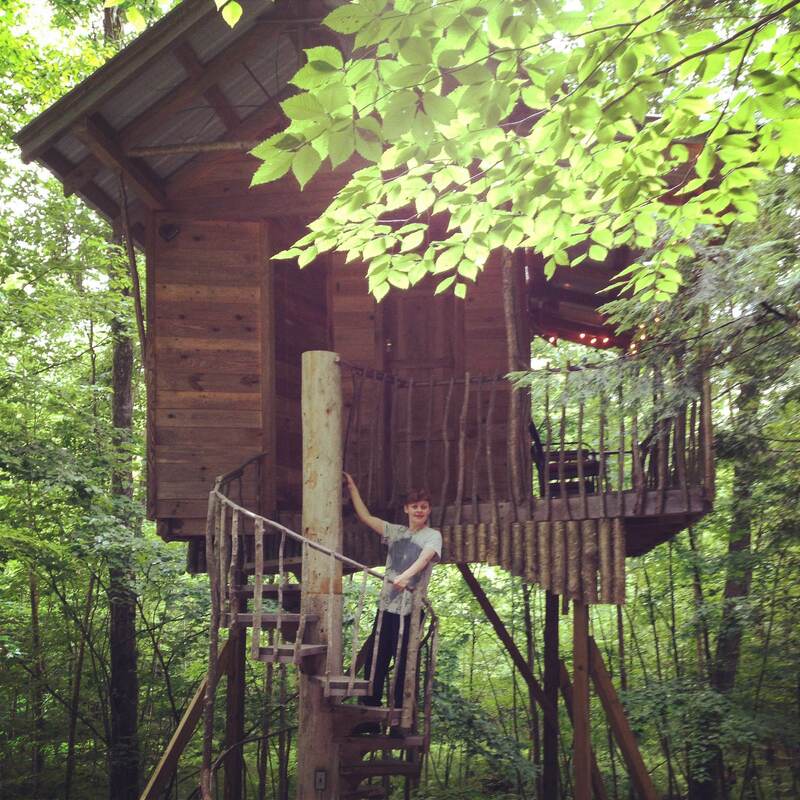 On our way back home, we stopped to stay in a tree-house! And on our way from Maine to this tree-house, my partner read aloud an article from the August 4, 2014 edition of the New Yorker (p.24 – “What is a Woman? The Dispute Between Radical Feminism and Transgenderism”). I’ve never picked up a New Yorker before. (I think maybe my partner hasn’t either, because she commented, “There are a lot of comics in here!” Haha.) It had been given to us by our friend in Maine, because she knew we’d be interested in this one article. Imagine driving on winding roads through rural VT, rain coming down, having previously been bored out of my gourd, tired of our musical selections. And suddenly being fully engaged in this topic that seemingly came out of nowhere (I mean, I know it came from the New Yorker; I just mean I wasn’t prepared for it, but it surely was a much needed distraction right then.) At various points, I interrupted my partner to argue passionately both with the article itself and with the radical feminists the article was about. – Not all, but some radical feminists still feel that transwomen are not women and will never be women (and that they benefit from male privilege…?). These rad-fems continue to want to exclude transwomen from women-only spaces, and to invalidate their experiences in numerous other ways. They reject the notion that someone could feel intrinsically female or male, and that all the ways that women and men are different are due to sociological forces and learned experiences only. – The common term for these rad-fems is TERF (trans-exclusionary radical feminists). – Some TERFs face threats, both in their personal and professional lives. Situations have become so escalated at times, that they must be escorted by security to events and go underground in their academics. There was so much more to this article (such as why FTMs are OK, but MTFs are a threat -??? Maybe I’ll return to the article for a more in depth future post); I highly recommend seeking it out if you can. It was eye-opening for me because even though I’ve heard of this term (TERFs) and understand the basics of the arguments, this really painted a picture. On the one hand, TERFs’ arguments are terribly weak and seem fueled by fear and a lack of understanding, with no efforts to begin understanding. Radical feminists often write about detransitioners, however, the detransitioners I’ve read aren’t TERFs. They are very sympathetic to trans people. Detransitioners have a wide range of views on what transition means. Some support it but think it wasn’t for them, some say they were socialized to transition, and some say they didn’t make a mistake, but it wasn’t the best option and society should offer more options. Some wish they could transition, but simply can’t due to medical, social, or financial reasons. There is far too little research on detransitioning. I don’t think we really know how many people detransition, but I think in present-day America it is probably more than 5%. I’m big on research, and I wish people would do more research on how common detransition is, how best to support people who detransition, and how to do it from a medical point of view. Thank you for bringing more info about detransitioning to light! I agree there is definitely far too little research on detransitioning, and on the trans community in general. And yes, this article highlighted detransitioning as a major part of where TERFs are coming from, citing one person who detransitioned and is now a part of this rad-fem sub-group (Heath Atom Russell) quite a bit. And I personally think that this angle is/has been overemphasized (I largely highlighted it because the article highlighted it, not because I agree). I agree that most detransitioners are not TERFs and that they do not agree with TERFs’ points of view. Would love to read more if you have any articles to recommend! There aren’t a lot of articles, just blogs by people who have detransitioned. I gotta agree that if it’s a term describing someone, then that someone gets to make the call whether it feels like a slur or not. And I’m thinking, I can kinda get it, the way it sounds out loud: TERF sounds like turf, like a piece of dirt. Sounds derogatory to me. Thank you big time for the link! I’ll definitely read that – always looking to be more informed! It’s of course not the same oppression, but I kind of feel it’s similar to if someone started saying that “white supremacist” or “racist” is a slur. Do you see what I’m saying?